Yes the cream flowers look great against the blue sky. The photos of the birds are great. You have much nicer birds than we have down here. 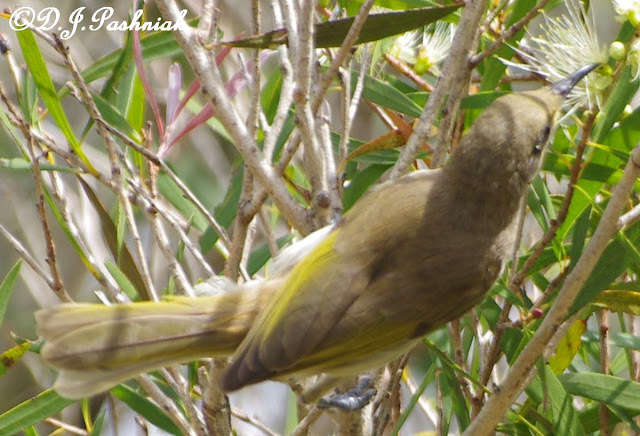 The noisy Miners chase the others away except we do have some blue faced honey eaters. Thanks for linking my blog to yours. Hope you don't get any more hail. Wow those honeyeaters are quite the little acrobats! You got wonderful pictures. The flowering tree really is lovely against your bright blue sky. As an avid birder, I enjoyed your beautiful portraits of the birds! When we lived in Tucson, Arizona we had two red (what we called) bottle brush...they look quite similar to these white ones! Great photos of the honeyeaters. Hello, the blossoms are beautiful. 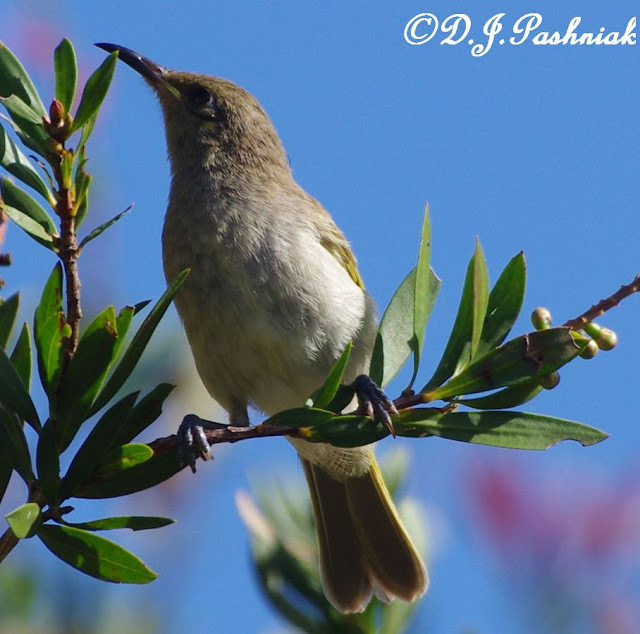 Wonderful birds and photos. 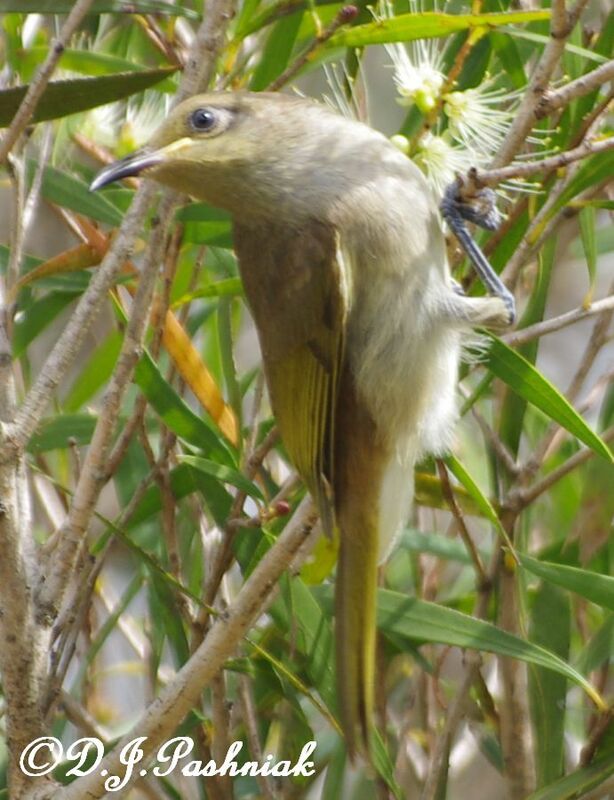 I love the White-cheeked Honeyeater. Great post! Enjoy your day, have a great new week! Awesome flowers and wonderful photos of our feathered friends! 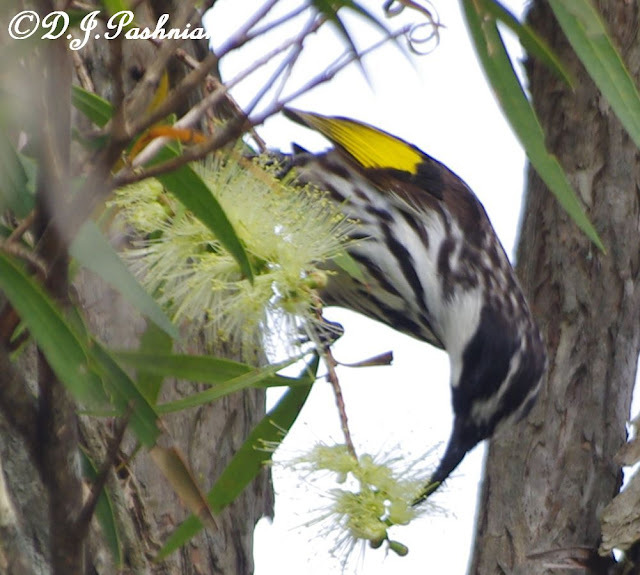 Those honey eaters are very lovely. I do like the Whit -cheeked especially. That's a very clever adaptation, hanging by their toes - reaching the parts others aren't able to do. The yellow on them in the black and white stands out and is very pretty. 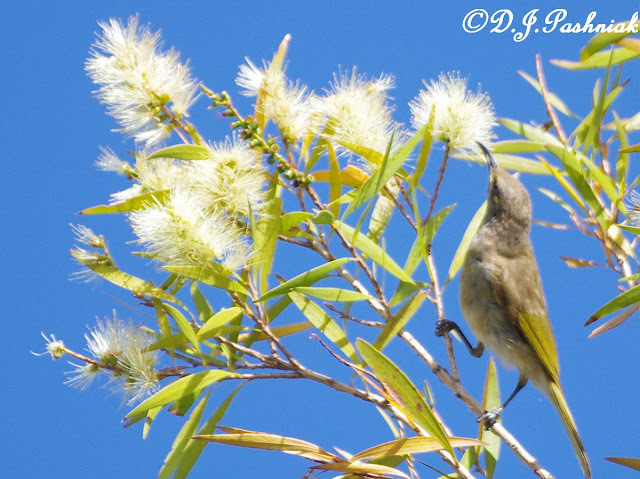 Some years ago I used to frequent a plant nursery which had a red flowered callistemon. That one was growing in a large greenhouse. The main stem was in the middle of the building and trained straight up to the roof. Then it was allowed to branch out in all directions. It was like walking under a beautiful red spotted umbrella. Thank you for sharing your images, Mick. 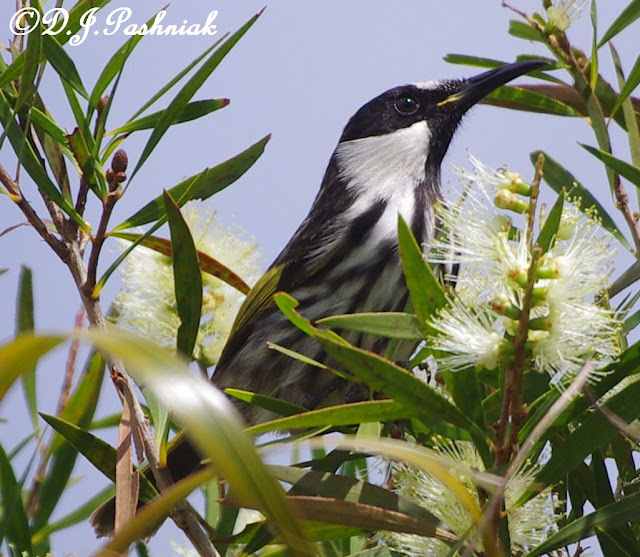 The Honeyeaters are great looking birds! Love your cream colored blossoms and snuck over to Diane's site to see the red ones. Both are beautiful! Hope you survived the storm with no damage. Have a great week!